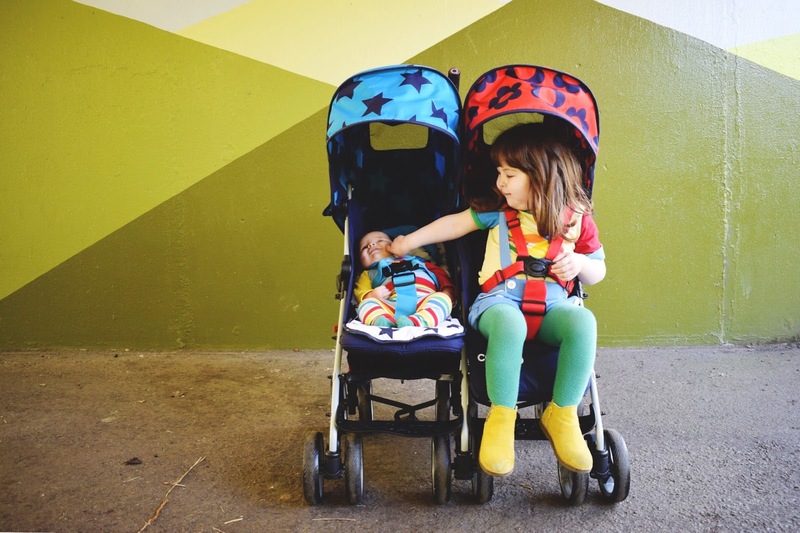 I never envisioned having a double buggy, ever. 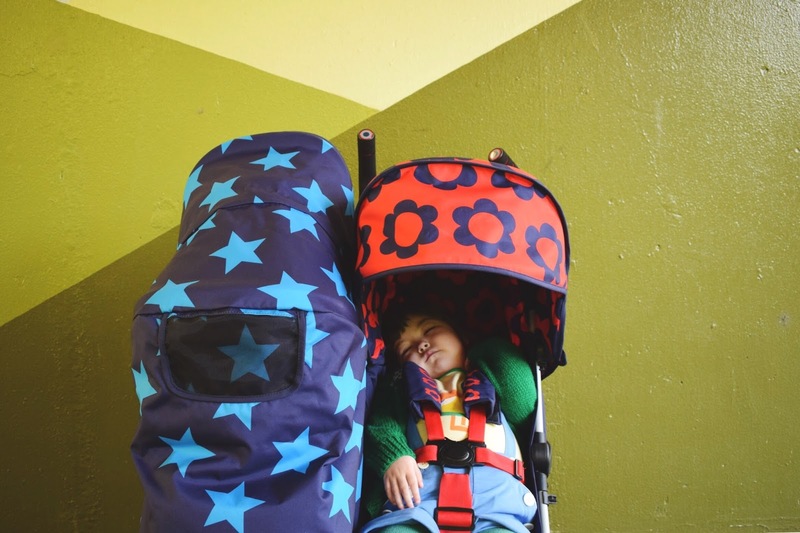 When I had Ivy, I never believed I would have a second so quickly and even when we fell pregnant with Ted, Ivy's Fontan should have then lead to her being much less wheel dependent so the plan was only ever to get a buggy board for little miss and a sling for baby so we could share the travel system between them as needed - but alas, not much ever goes to plan and with Ivy's extended hospital stay, lessened mobility and protein loss meaning nap times and tiring easily are still very much the basis of any trip out the house, we decided to go for the double. 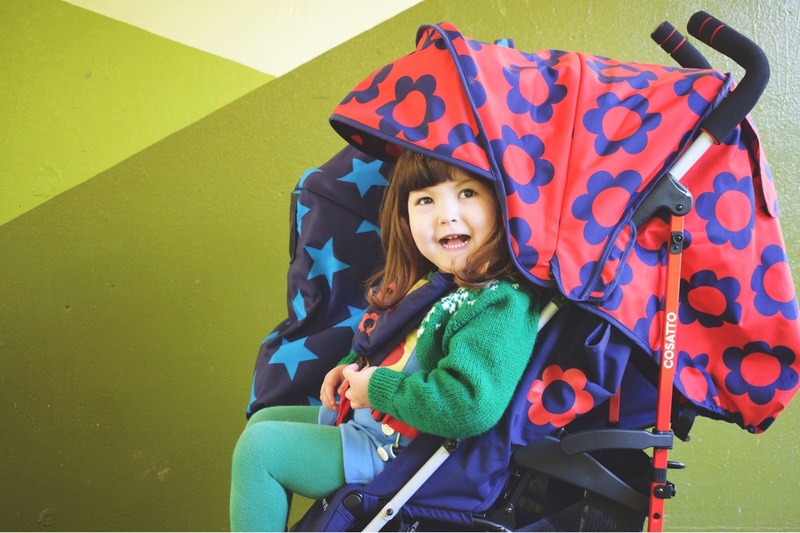 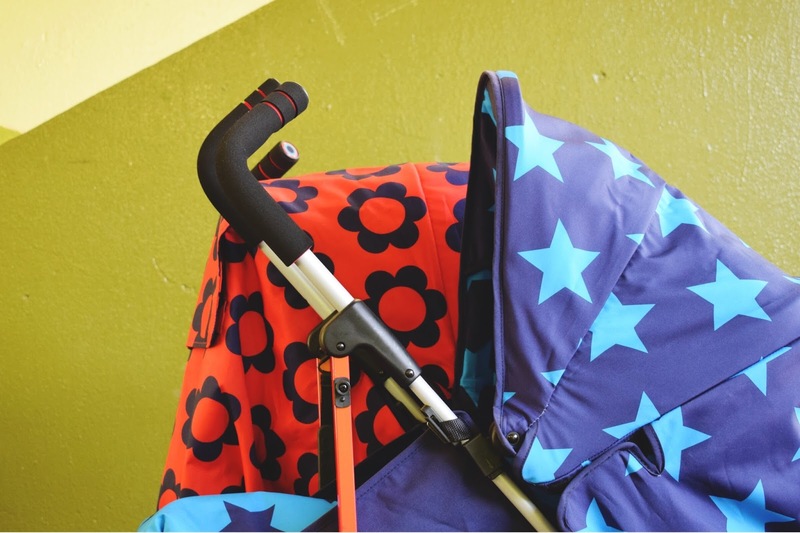 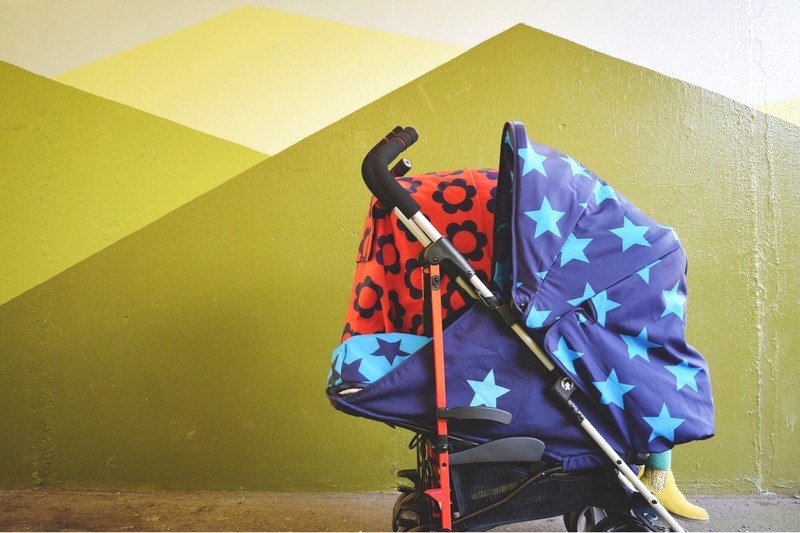 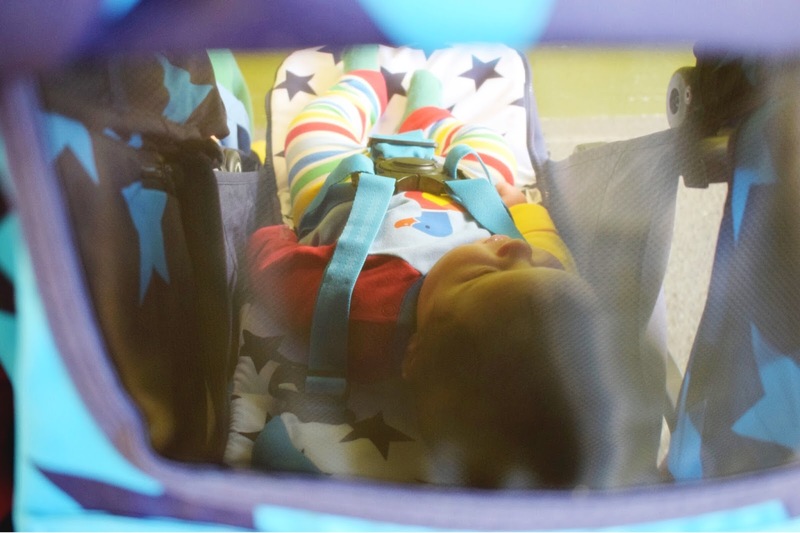 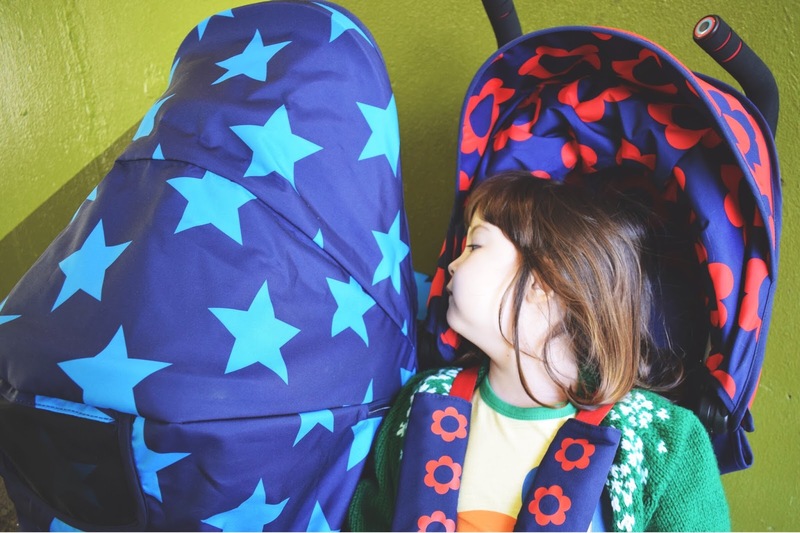 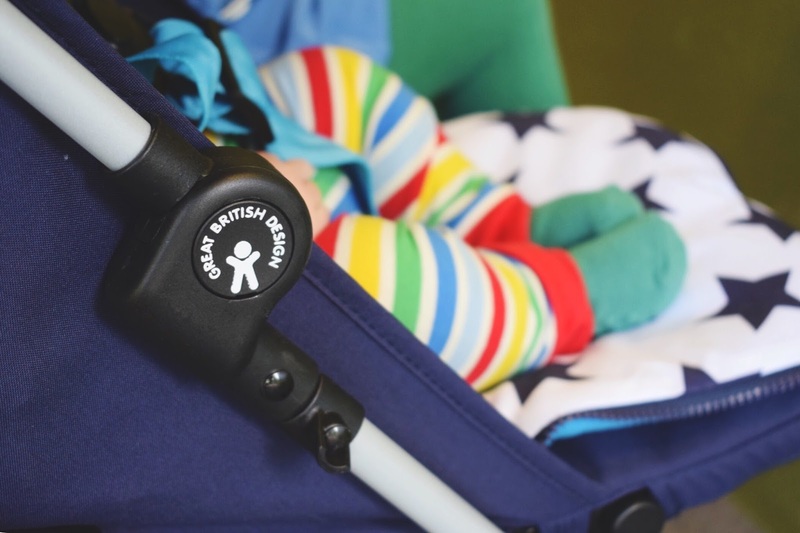 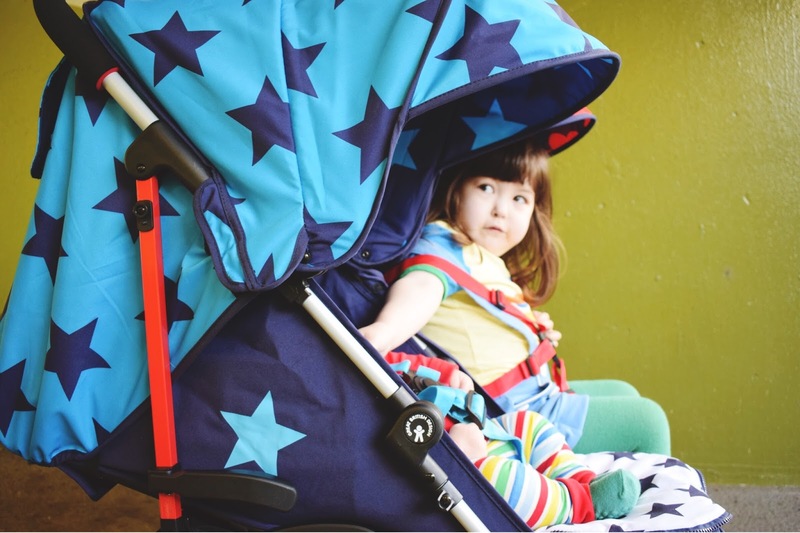 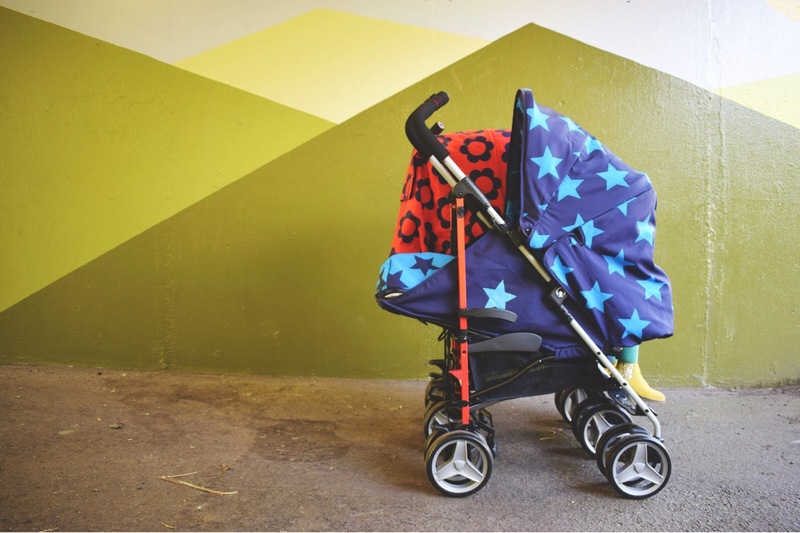 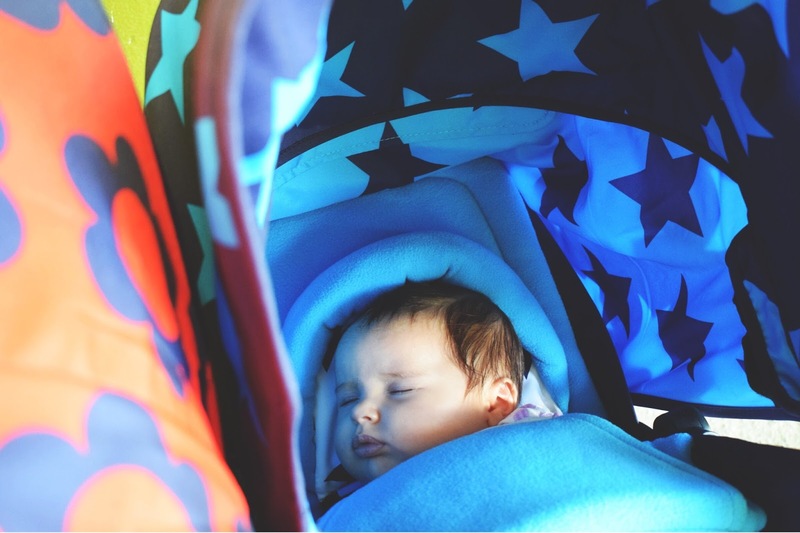 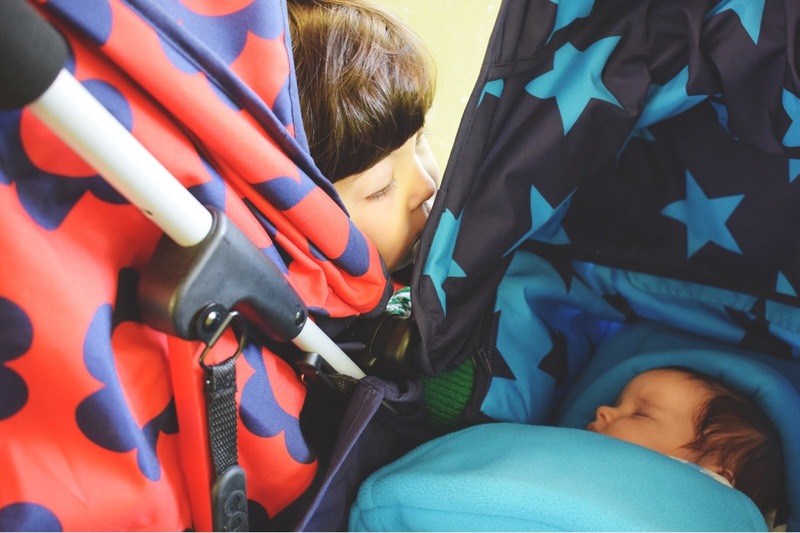 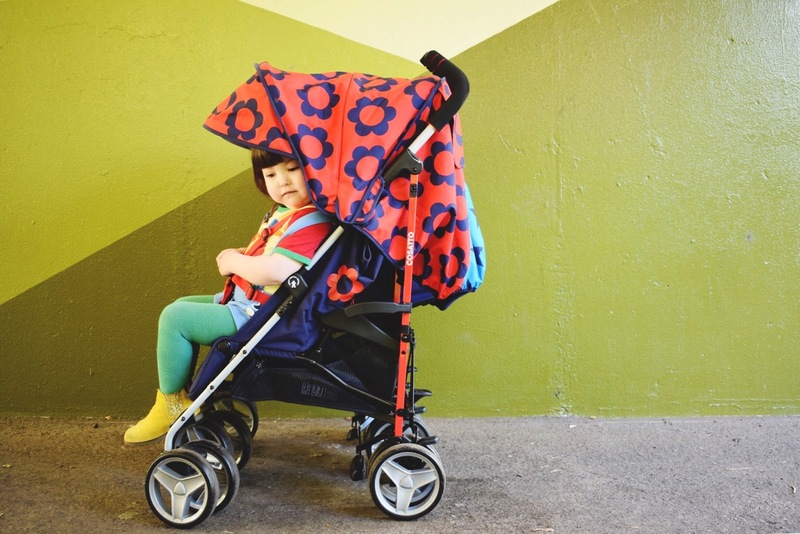 This stroller stamps out all my preconceptions of double buggies - it's slimline enough to fit through our front door very easily, the lightweight umbrella fold is easy to achieve on my own and unbelievably fits in the boot of my Corsa. 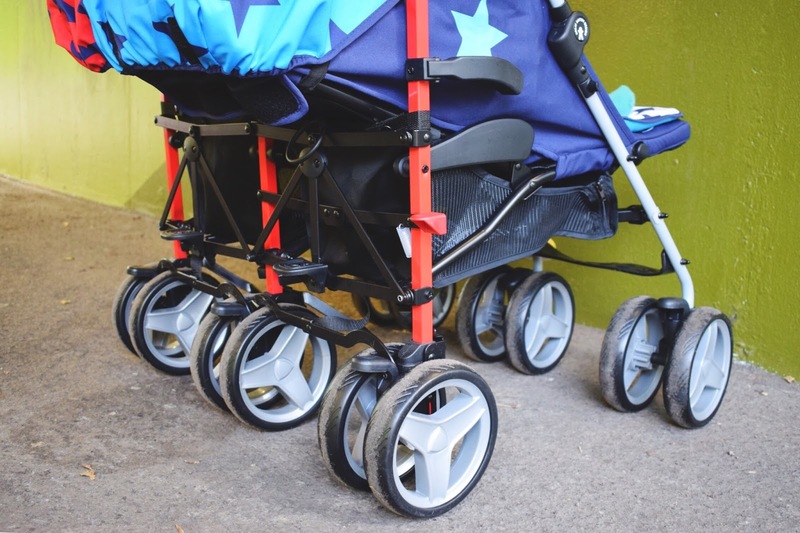 It's also much easier to push than I expected with lockable wheels and the third handlebar comes in extremely handy when steering one side much heavier than the other. 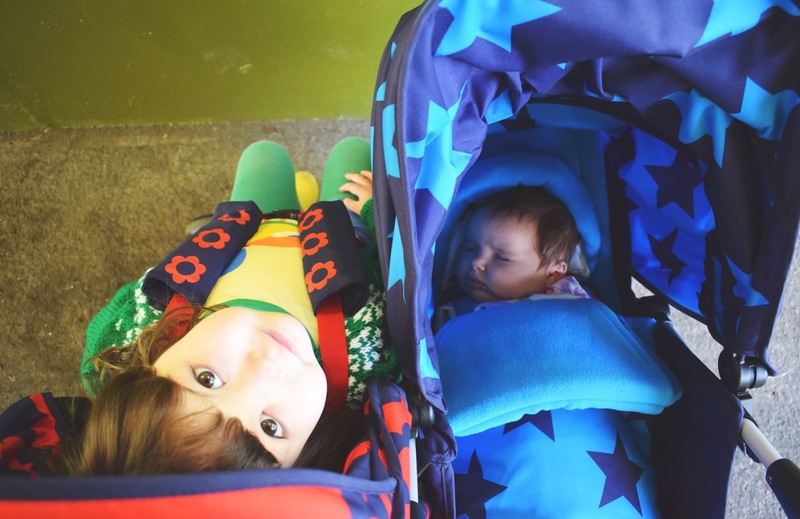 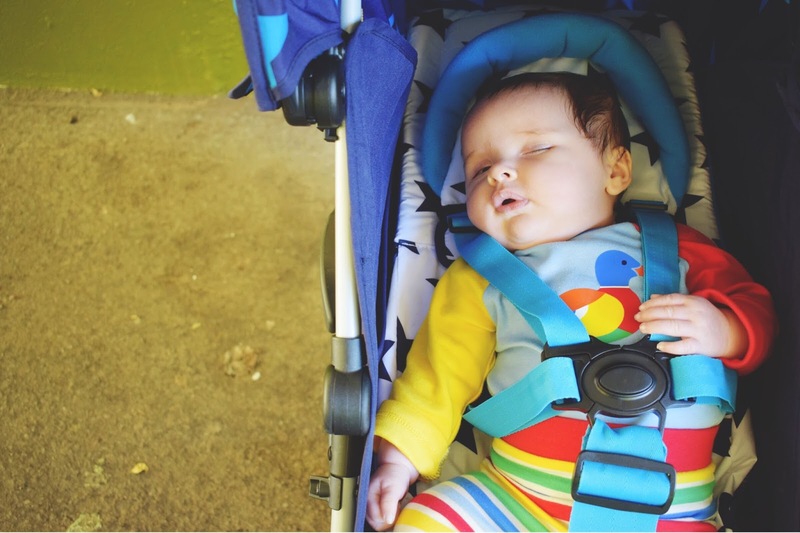 The main reason we went for this buggy was it's various seating combinations being suitable for two children of any age, especially its parent-facing mode. 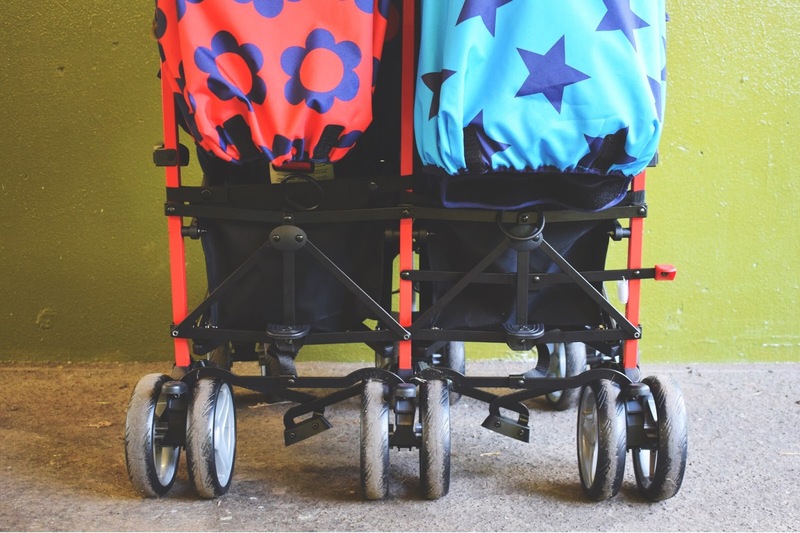 Not only is this a rare feature for a side-by-side stroller and a very preferable factor for me with a newborn, I am astounded by the ease at which you can switch between the two positions. 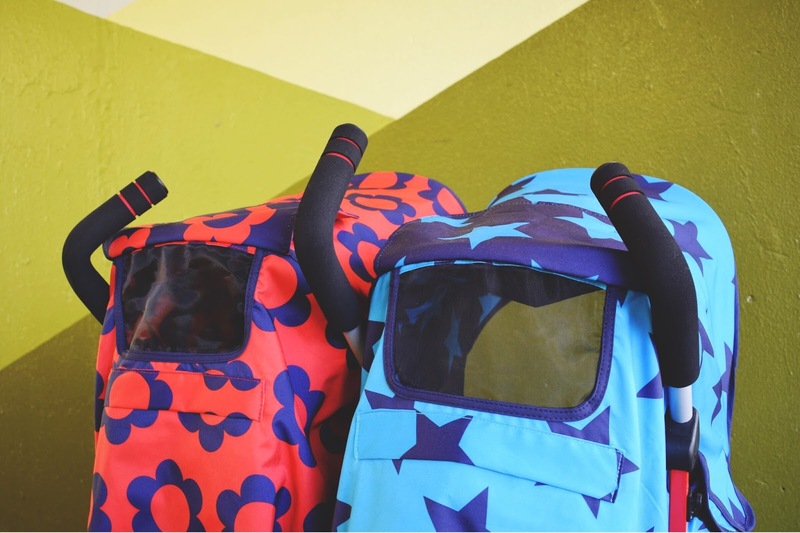 The seat flips over into place and then the hood is pulled right over into place - that is quite literally it! 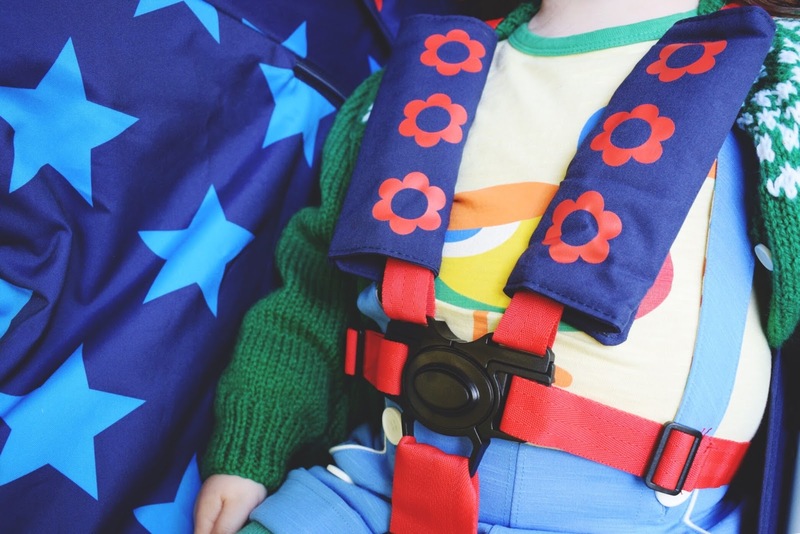 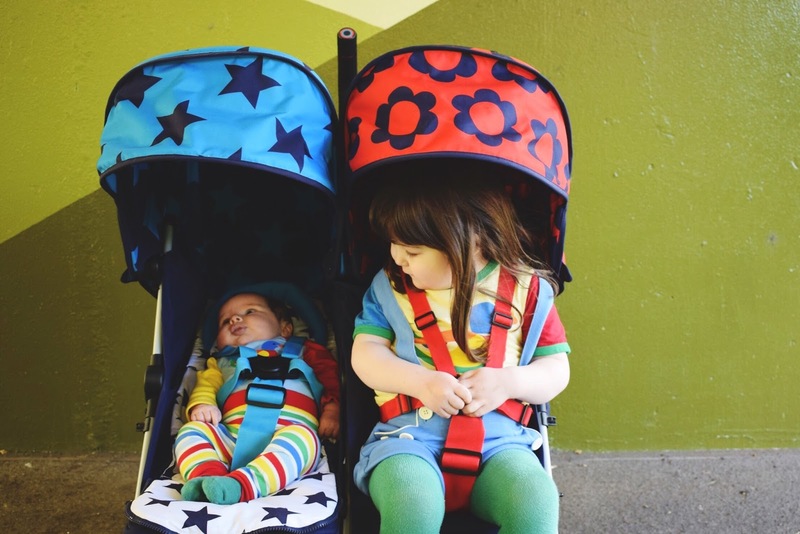 You can have both seats facing in, both seats facing out or one facing each way (which is particularly handy to keep the poor newborn away from very cute but very touchy feely big sister) It doesn't matter if you have twins, or a sizeable gap between siblings, this pushchair caters to every bit of the spectrum. 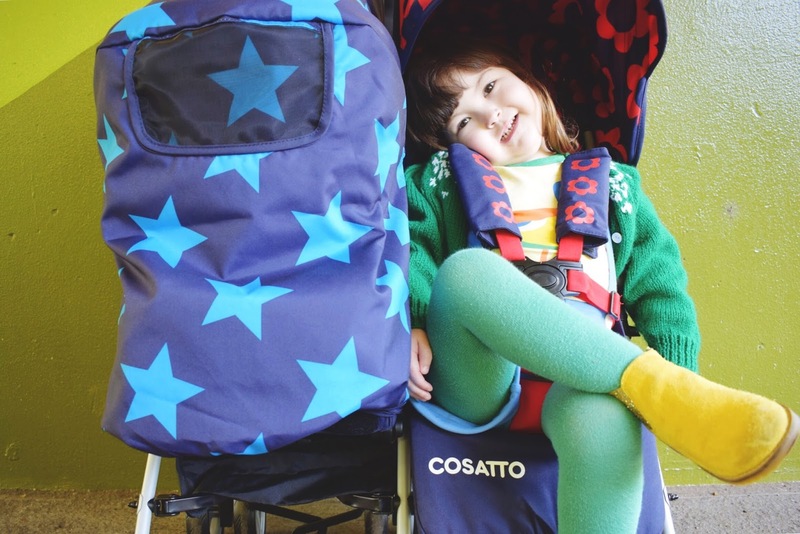 As always, Cosatto have thought of everything any parent needs for an easy life. 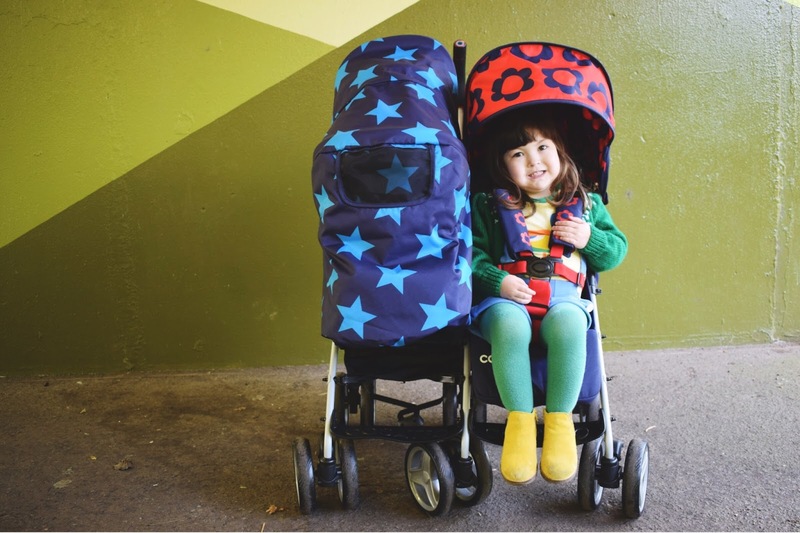 In addition to the adjustable handle bars and big baskets we appreciated with our Supa Go, 2 cup holders are included in the box (one coffee and one beaker, of course) and my favourite little extra is the starry seat liner that zips off the cosy toes which is far easier to whip off and clean with a sicky, sticky baby. 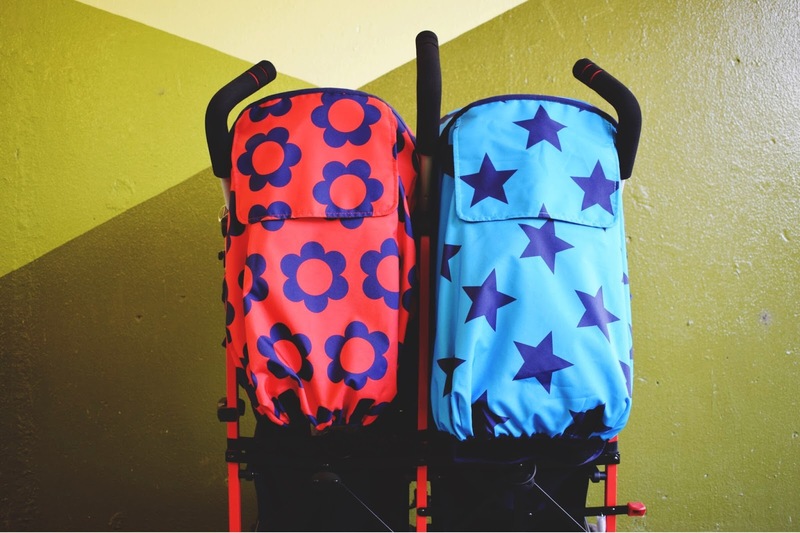 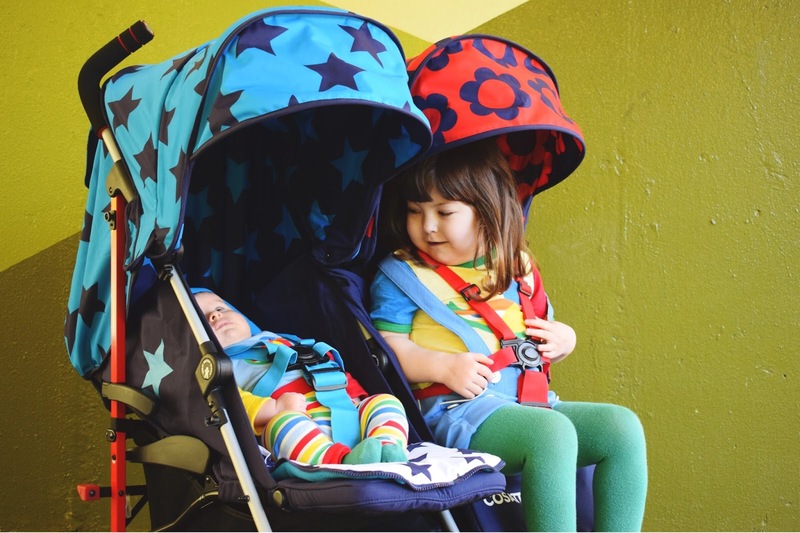 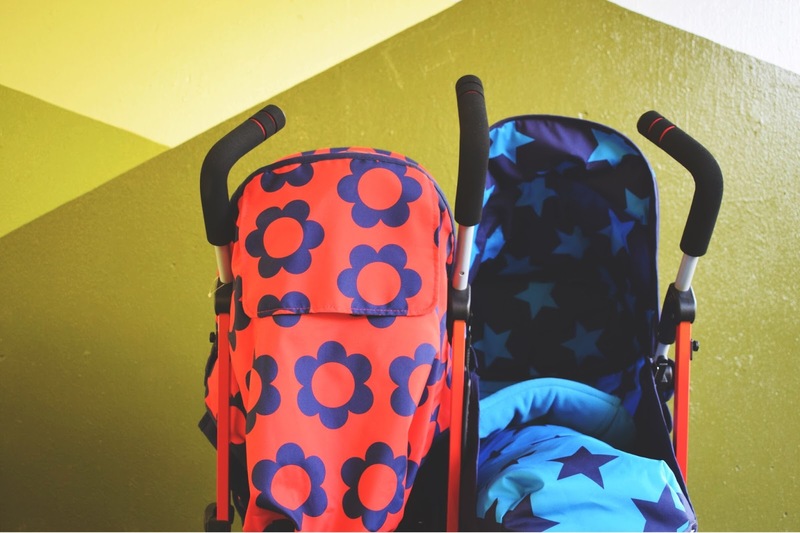 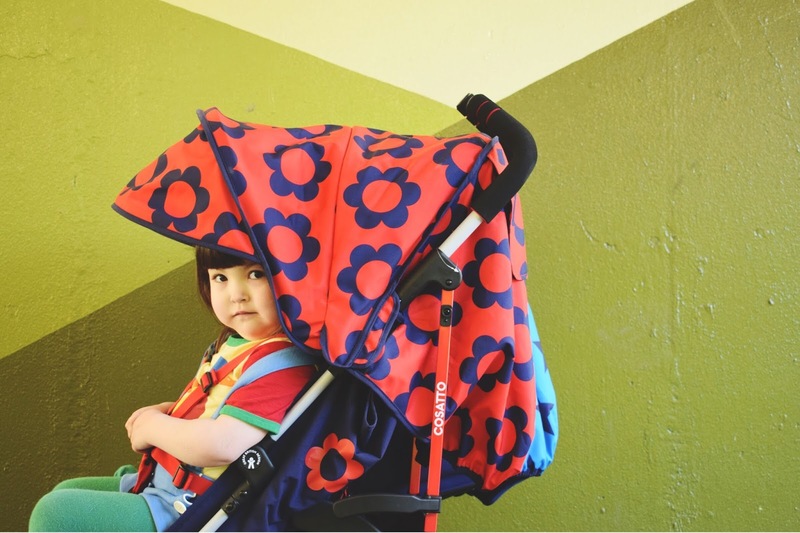 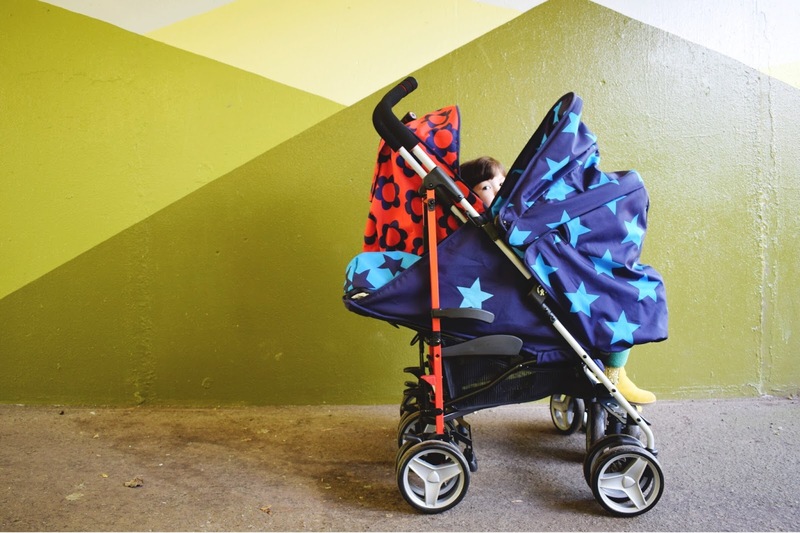 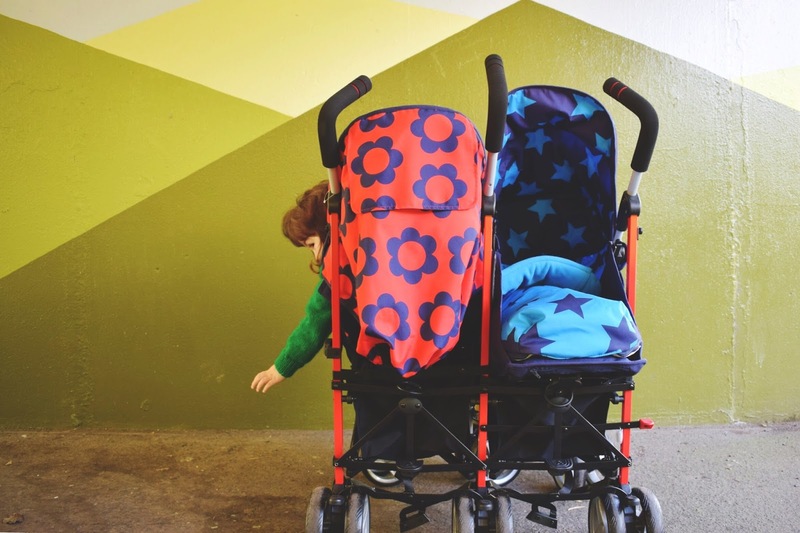 Not only do I adore these vibrant prints (and this one, oh my goodness) but I love how it feels like both children have their own unique strollers and you can also set the colours to your preference too. 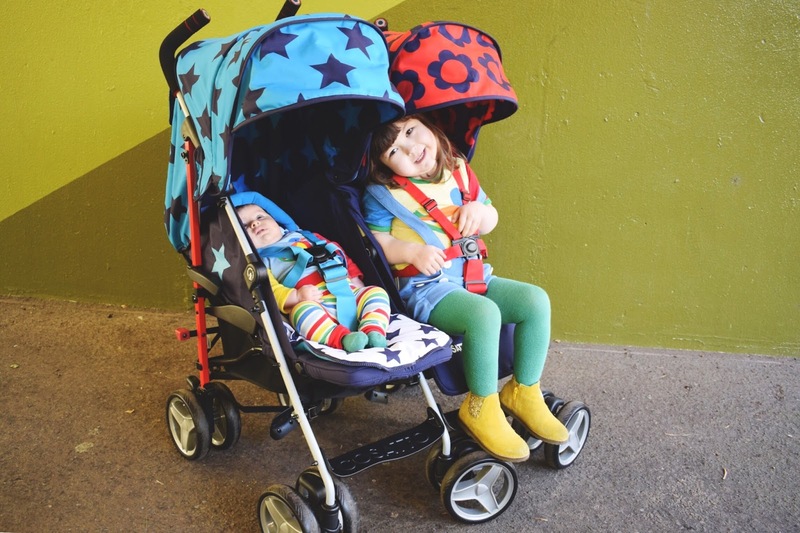 Both hoods and cosy toes are reversible so you can choose your exact colour way. 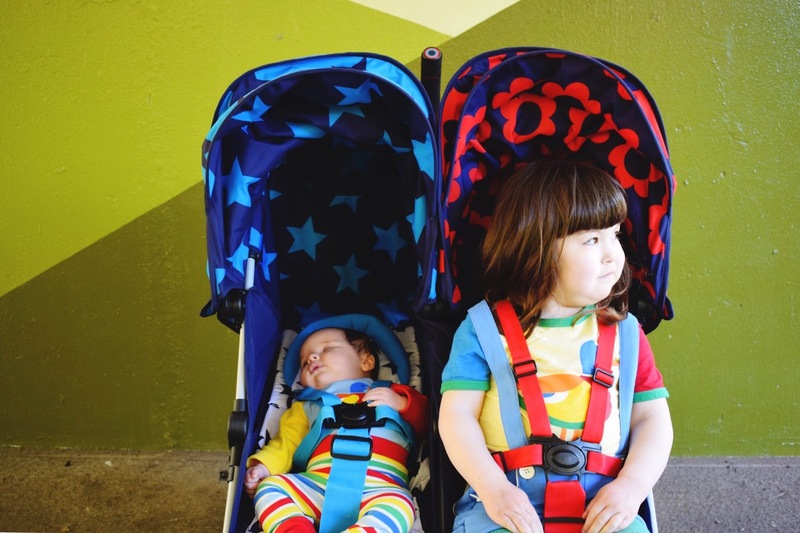 Brighter the better for us and we have opted for bright blue and red as our main colours and navy as a secondary. 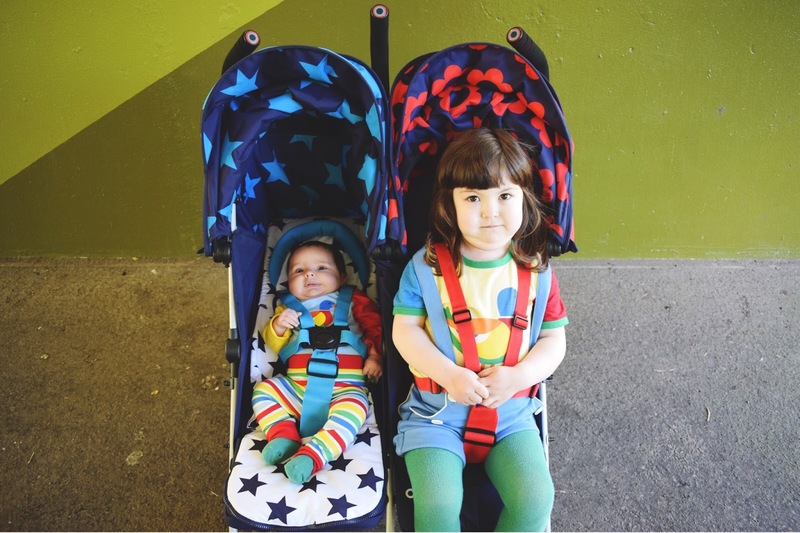 I'm going to be completely honest, I wasn't all that thrilled about the prospect of needing, getting and using a double buggy but this stroller has flipped that around even quicker than it's seat swap feature. 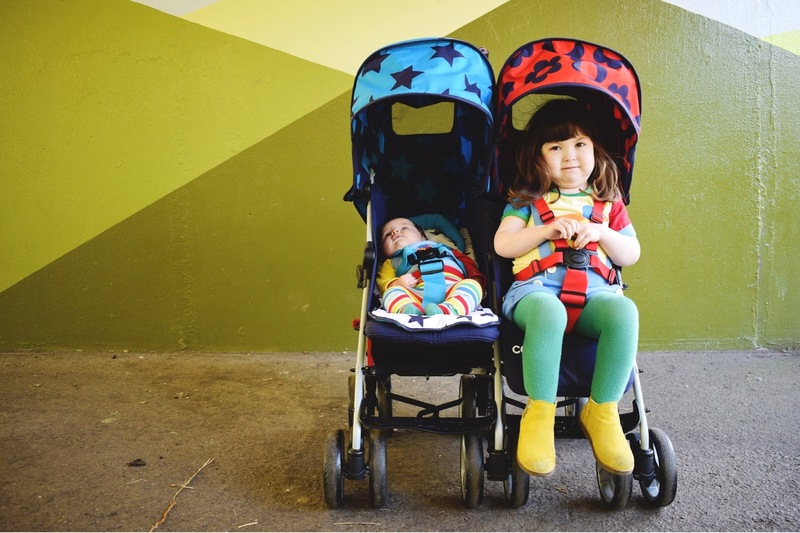 It's complimented our other modes of transport in the perfect and most necessary ways, filling all those gaps we hadn't ever anticipated and what could have been trouble certainly turned out to be twice as nice.